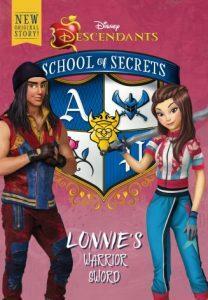 Fans of Disney’s Descendants! 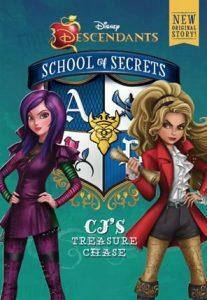 Check out Jessica’s new original book series, SCHOOL OF SECRETS, published by Disney Press, based on characters from the Descendants world! CJ’s Treasure Chase (Book 1) – Out Now! CJ is the daughter of Captain James Hook. She’s fierce. She’s swashbuckling. And she has big dreams. . . like finding the treasure she’s known about since she was a little girl stranded on the Isle of the Lost. When CJ sneaks out of Auradon Prep with her best friend, Freddie, they go on a wild chase to find it. 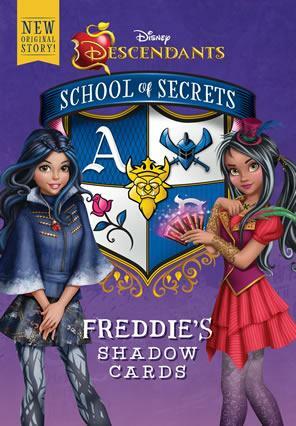 Freddie’s Shadow Cards (Book 2) – Out Now! Freddie is the daughter of the infamous witch doctor, Dr. Facilier. She’s got voodoo in her blood, a deck of Shadow Cards in her hands, and a song in her villain-kid heart. But dark magic always comes with a price. Ally’s Mad Mystery (Book 3) – Out Now! Ally is the daughter of Alice in Wonderland. She’s quirky, she’s funny, and she loves solving a tricky mystery. 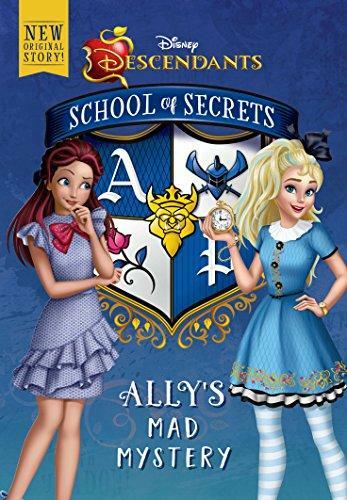 When strange things start happening at Auradon Prep that threaten the school’s big Spirit Weekend, Ally is determined to find who’s behind the madness. Will she be able to figure it out in time, or will the clock run out on her? Lonnie’s Warrior Sword (Book 4) – Out Now! Lonnie is the daughter of Mulan. She’s strong. She’s fearless. And she’s willing to fight for what she wants…like the very special sword that once belonged to her mother. When Lonnie brings her friends Jay and Jordan on an forbidden trip to Imperial City to get it, she must prove she’s a true warrior. Carlos’s Scavenger Hunt (Book 5) – Out Now! He’s thoughtful. He’s sweet. He’s kind. 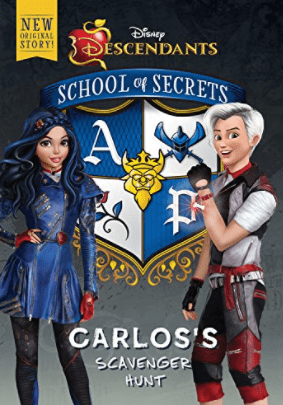 But when Carlos joins up with Evie and Jane for the Auradon Prep Scavenger Hunt, he decides it’s his chance to prove that he’s more than Mr. Nice Guy–that he’ll do whatever it takes to lead his team to victory….even if it means using his newly discovered magic to win the coveted prize. Click here to learn more and sign-up! DEVELOP BLOCKBUSTER IDEAS THAT SELL! Join the Sky Without Stars Part 1 Read-Along! Break Through Writer’s Block With this Easy Hack! Sign up to receive updates on my book releases, movie news, and lots more! Discover the secret storytelling code behind every bestselling novel. Sign up today to receive your FREE Save the Cat! Writes a Novel Starter Kit! Includes an introduction to the 15 beats, plus 3 beat sheets of popular novels! SEND ME THE STARTER KIT! Get FREE writing tips delivered right to your inbox every month! Sign up for Jessica’s Writing Mastery Newsletter for exclusive coupons, updates on all her online courses, free monthly writing tips, and more! READ THE FIRST 35 PAGES OF JESSICA'S NEW BOOK FREE! For a limited time only, subscribe to Jessica's newsletter & receive the first 35 PAGES of THE GEOGRAPHY OF LOST THINGS, her new young adult novel (ages 12+)! Available to email subscribers ONLY..
GET A FREE GIFT PACK! Limited Time Offer: Ends 3/30/19. PRE-ORDER OFFER EXTENDED! PURCHASE SKY WITHOUT STARS: GET A FREE GIFT PACK! 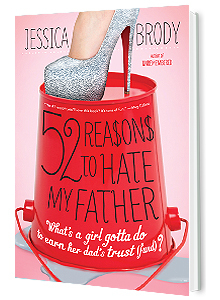 READ THE FIRST 50 PAGES OF JESSICA'S NEW BOOK FREE! For a limited time only, subscribe to Jessica's newsletter & you'll receive the first 4 CHAPTERS (50 Pages) of SKY WITHOUT STARS, the first installment in her new Sci-Fi Trilogy! Available to email subscribers ONLY. For a limited time only, subscribe to Jessica's newsletter & you'll receive the first 4 CHAPTERS (50 Pages) of SKY WITHOUT STARS, half of the first installment in her new Sci-Fi Trilogy! Available to email subscribers ONLY. Available wherever books are sold.